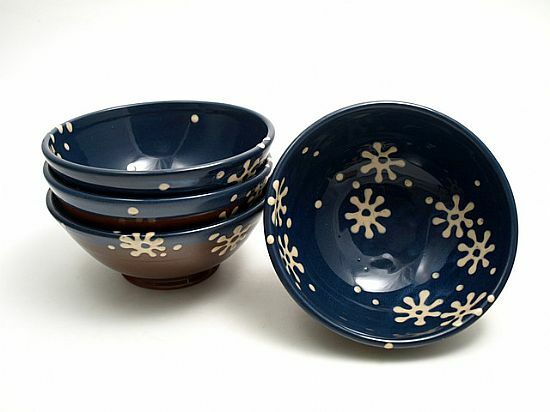 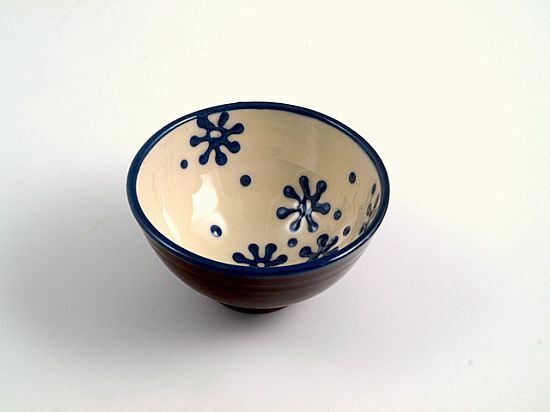 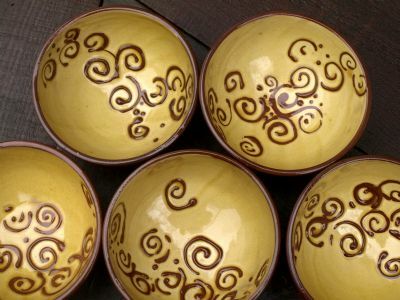 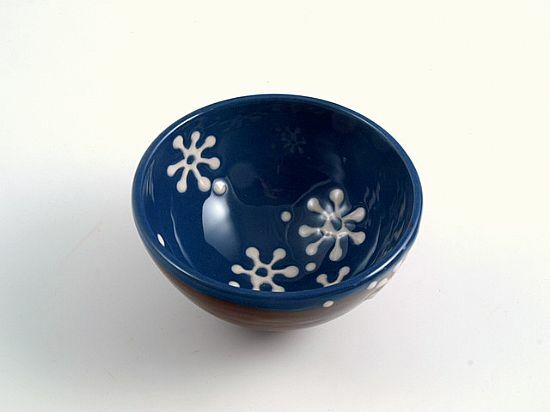 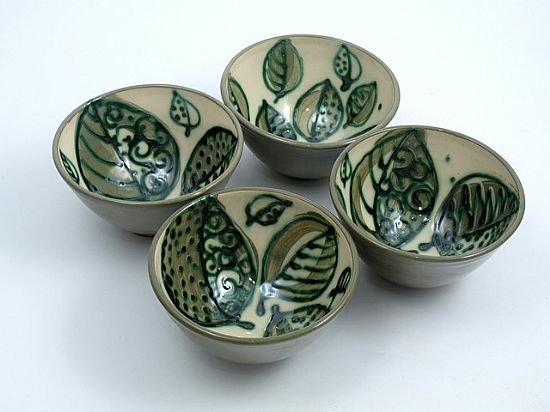 These bowls are great for everyday use as soup or cereal bowls or for serving nibbles, dips or nuts etc. 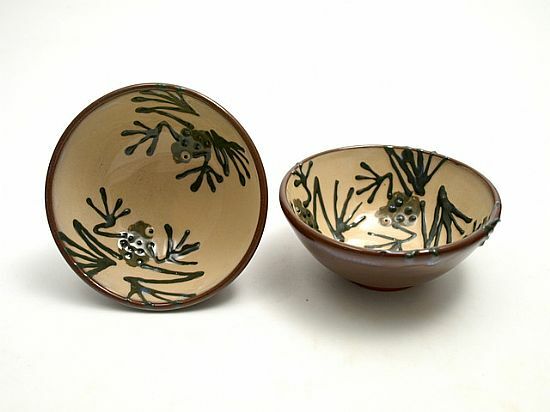 I can make a single small bowl or a set of bowls to order. 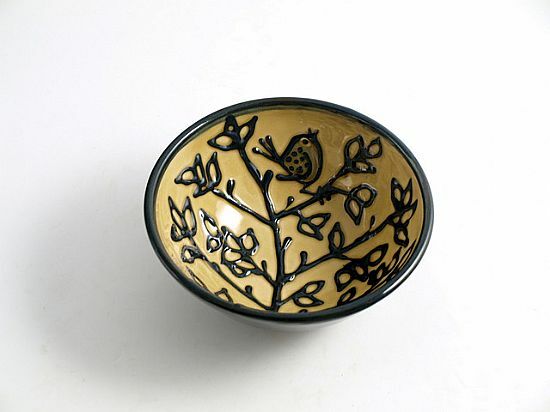 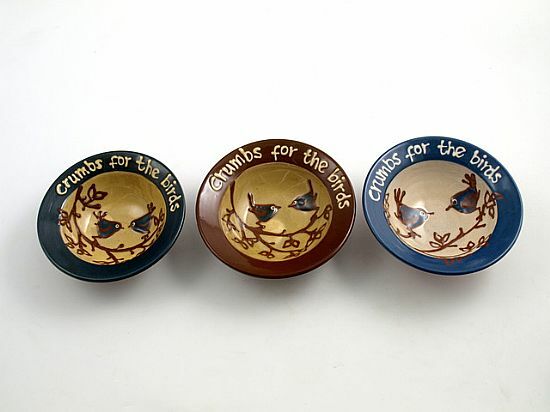 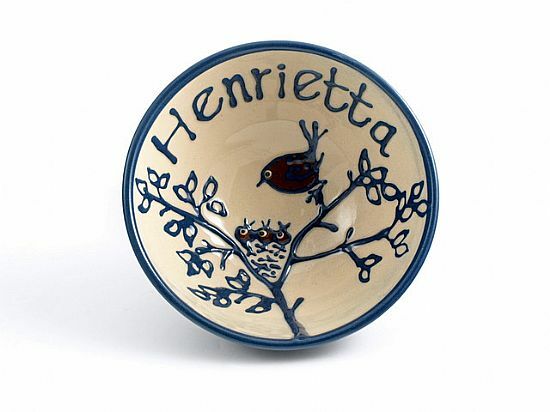 Small bowl in various colours for collecting bread crumbs in your kitchen ready to feed the birds. 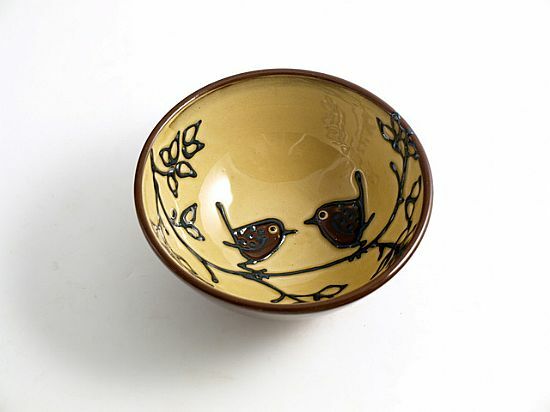 14cm diameter including rim and 3.5cm deep approx. 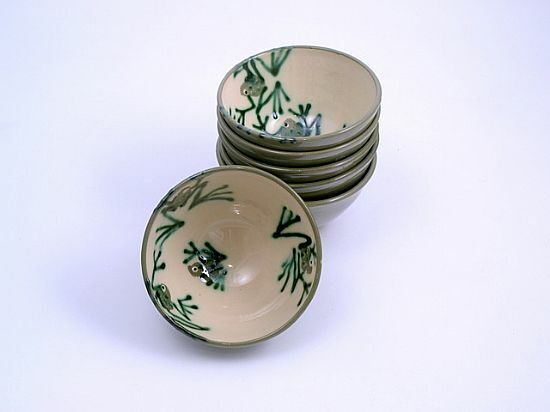 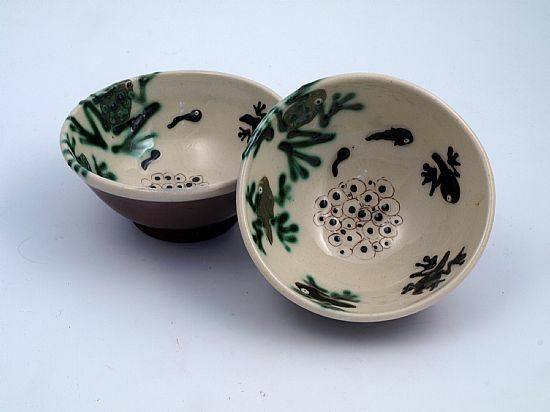 A set of cereal bowls with green sliptrailed frogs on a cream slip background on the inside and green slip outside.About 14cm diameter and 9cm deep.